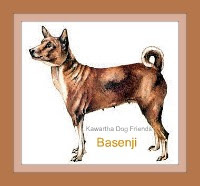 Kawartha Dog Sitter Blog: Calling All Dogs! Fido Casting Call! Calling All Dogs! Fido Casting Call! Win a Fido Phone Celebrity Photo Shoot! Canadian dog owners across the country are snapping pics of their pooches to try to win the Fido casting call contest. What I love about this contest is that Fido is donating $1 for every Fido Casting Call vote to Lions Foundation of Canada Dog Guides, up to a maximum amount of $200,000.Fido Casting Call Contest, organized by Fido Solutions,and operated by Rogers Communications Partnership is open to all residents of Canada, 13 years or older. Like the Fido Mobile Facebook Page. Upload a photo of your dog and fill out your dog's Casting Sheet with a brief explanation (maximum 255 characters) “Why should your dog appear in a Fido ad” One dog per Casting Sheet.YOU MUST BE THE OWNER OF THE DOG FOR WHICH YOU SUBMIT THE CASTING SHEET. RUNNERS UP (9)Runner ups will each receive (1) LG Optimus 2X Fido phone having and one (1) dog collar with a personalized 2011 Fido Casting Call runner-up medal. Each runner-up prize has an approximate total retail value of $480. The Real winners? All the people waiting for Dog Guides to help make their lives a little easier. If you enter your dog in ths contest be sure to post a link in the comments below,or on our Kawartha Dog Sitter Blog Facebook Page so we can vote for you! Wow Tucker! Talk about a small world! Looking forward to helping Gucci get more votes too! Thanks for visiting our blog. Tomorrow I think I'll add a bonus entry system to the shouts draw. Wow Niko That;s amazing! We;d love to feature a guest post on our blog about your experiences. Love your happy smile with that big red tongue! Would LUV IT if you could help spread the love & vote for my puppy Amba in the Fido Casting Call! He gets a lot of looks when we are out walking including people yelling out of their car windows about how good looking he is. And he has such a fun-loving personality. I wish we knew who Tan Tan's owner is so we could help them get votes too.